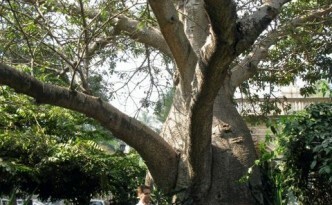 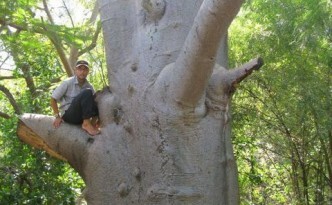 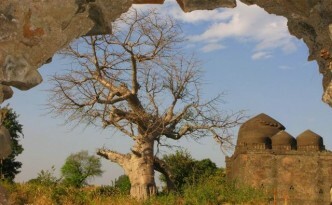 A plump baobab at the entrance of Rani Bagh, greeting visitors to the zoo and botanical gardens. 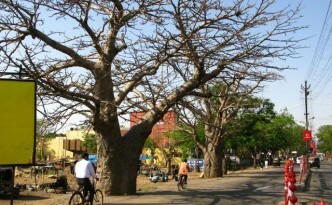 These three baobabs at the entrance to Doranda college were incorrectly reported to be rare members of the Kalpavrish, of which only nine exist India. 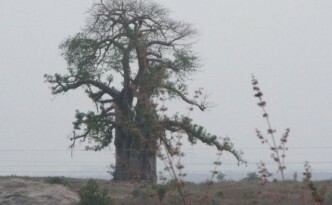 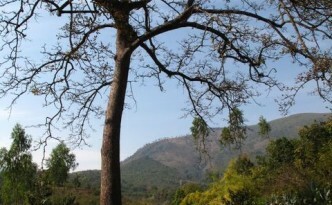 Fortunately, there are many more baobabs than just nine. 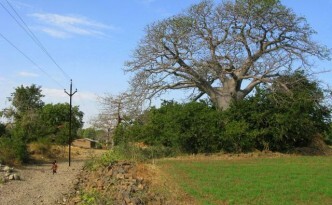 Just a few kilometers distant from the amazing Mallanimli Baobab – which locals say is the only tree of its kind in the world — is another immediately recognizable Baobab! 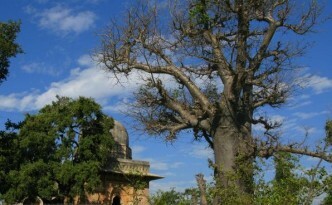 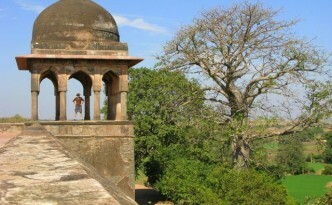 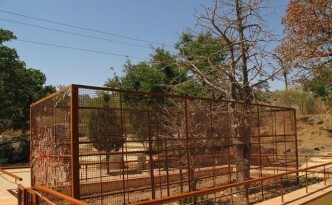 A Celestial Wishing Tree can be found– behind a cage- at the Dilwara Jain Temple in Mount Abu, Rajasthan’s craggy holiday town.